Good bye MediaTemple! I’d like to say its been fun but unfortunately its been a disaster and I’m very happy to say WP Engine has been great so far (full review of them below). In May 2014, after numerous problems and sluggish website issues with my personal blog, I decided to leave GoDaddy and move to better WordPress hosting. 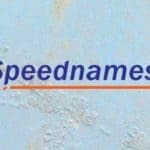 I did a bit of research and found MediaTemple’s ‘Premium WordPress Hosting’ offering which seemed good and about how much I was willing to pay, plus they have always had a good reputation. Nice – I thought – it says ‘premium’ so it must be good. How wrong I was. After going through the pain of the migration, the first unhappy surprise was that when GoDaddy bought MediaTemple, it seems they didn’t stick to their original plan of not getting involved in or disrupting MT. MediaTemple now uses GoDaddy’s BAC servers (‘Bag Of Crap’) for their WordPress hosting. I had a few issues setting up and fired a few questions to their support and discovered that they were generally less helpful than GoDaddy’s tech support and less willing to help or break away of scripted responses. What frustrated me most is that whenever I raised this with their tech support I would get fobbed off. More often than not I’d get canned responses and denials. On occasion I’d be told there’d been a brief problem and my website would come back up (they’d clearly just restarted the VM my site was on). I’d get a vague apology with no real explanation. The final time my site was down, I spoke to a technician I’m going to call ‘Jerry’, when I explained the problem he said that any issues their end were posted at http://status.mediatemple.net/ – I pointed out that only problems they know about are posted there and mine was clearly one they didn’t. Unfortunately ‘Jerry’ didn’t seem to want to investigate further, he just said that he could see my website and put the burden of proof upon me, suggesting that anytime I speak to someone that says my website is down should try viewing it through a proxy and take tracerts. How about just believing your customer? Currently, we are experiencing some intermittent outages on the Premium WordPress product. Our engineers are working on this; I sincerely apologize for any inconvenience caused by this. This support request will be updated once these issues are resolved; if the issues persist after this, please let us know so that we can investigate further. Clearly no investigation had been done during my chat session, just the usual distraction, deflection and redirection to avoid any blame. WP Engine to the Rescue! 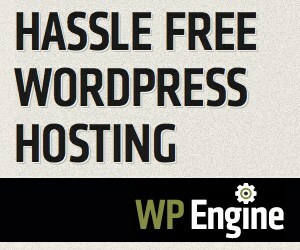 So I needed to find a new host and from I’ve seen, WP Engine seems to be MediaTemple’s biggest competitor for managed WordPress Hosting and there were a lot of good reviews about them online. Once I signed up for an account, I was immediately reassured by the simplicity of their interface (the MT one always seemed a little clunky – pretty, but clunky) and also the wealth of information and tools for migrating your website to them. I migrated my website over in no time at all, switched my domain name and immediately noticed a performance increase (and that was before I enabled any caching). WP Engine have all sorts of fantastic features thrown in as standard, including backups, restore points and they appear to be very proactive when it comes to WordPress security (whereas MediaTemple did bugger all for me). Thus far I’m very happy with the switch to WP Engine and they have lived up to their ‘Hassle Free WordPress Hosting’ mantra. I will update this post in a month, 3 months and 6 months to let you know how its going!